Meet former space engineer, Joe Ballen. These days, he’s scraping a living flying cabs in flooded-out Baltimore, trying to avoid the clutches of his boss and the well-meaning advice of an old friend. When one of his passengers suffers a grisly death, Joe is dragged into a dangerous web of ruthless academic rivalry centered on a prototype spaceship. As the bodies pile up, Joe becomes suspect number one, and his enemies will stop at nothing to hide the truth. With the help of an enigmatic scientist, a senile survivalist, and the glamorous Ms Buntin, can Joe untangle the conspiracy and prove his innocence before it’s too late? 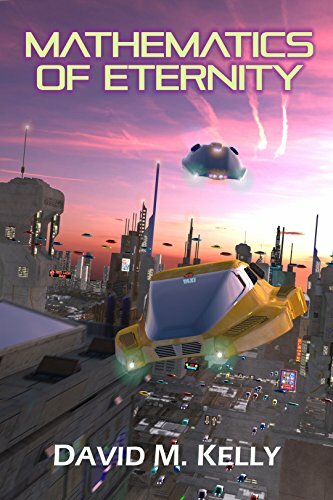 Mathematics Of Eternity: the first in an explosive SF thriller series by a fantastic new Canadian SF author. The future’s about to get a lot more action-packed!